One Crazy House has partnered with Freschetta for this blog post. All opinions expressed are ours. Except I soon realized that with all the appointments, games and after-school commitments, we were lacking in true family time! When I heard about #FreschettaFriday, I knew this was the perfect way to start a family tradition and regain some of that quality time we so desperately seek. 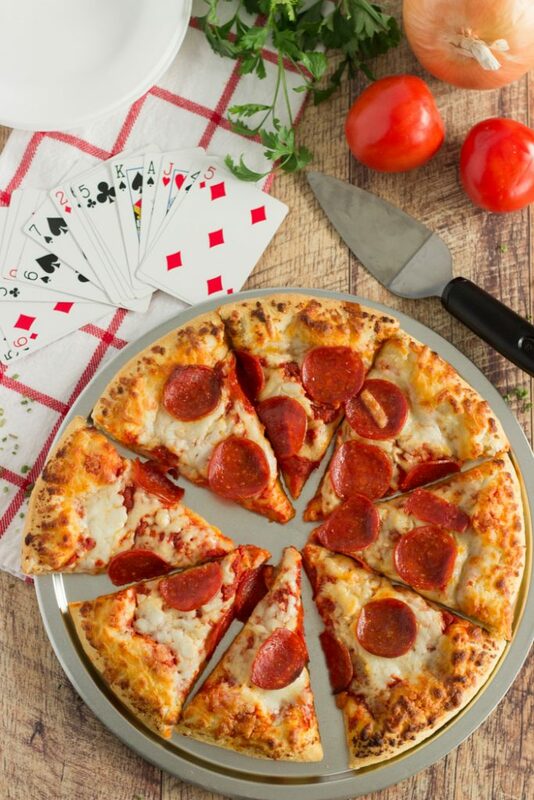 But setting aside one evening a week for pizza, fun and games can seem daunting! I thought it would be helpful to share some hacks we use to make this about the family and not the stress of making it happen. 1. Write it on the calendar in advance. This seems obvious, but one of the things I have found to be true is that if you write it on the calendar, it will happen. If I leave it off the calendar, it probably won’t. I share a Google calendar with my family so it can be accessed remotely (like from my phone). The first step is to create a recurring event on Friday nights with a time block that gives us enough time for pizza and a game or movie. Because my boys are all teenagers, they can see the blocked time and make their plans before and afterward. 2. Make it a Family Priority. 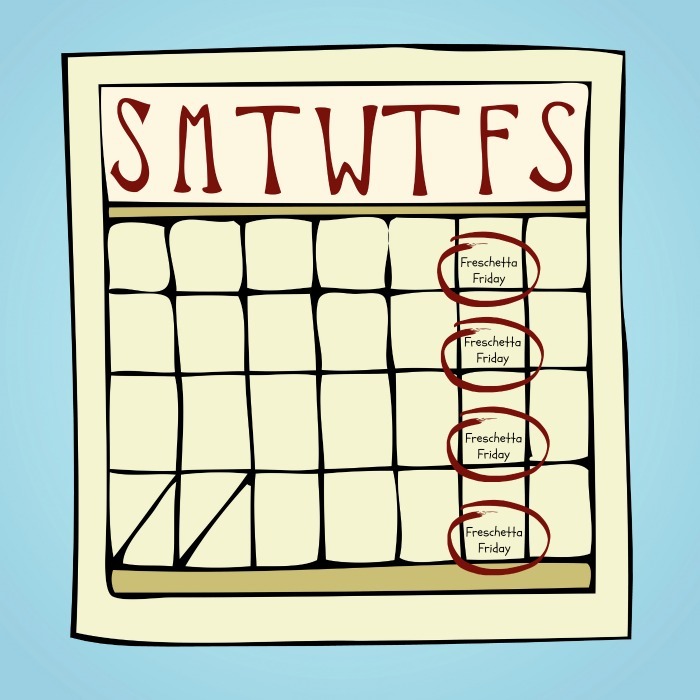 Because it is a time block on the family calendar, that indicates to my kids to make plans with their friends around it. Giving them advance notice, expecting their presence, but not holding them to an entire night has made this less stressful on them as well. Knowing that they can meet up with their friends afterward has reduced grumpiness and FOMO. Adding a note to a backpack or lunch can help remind them what the evening holds. 3. 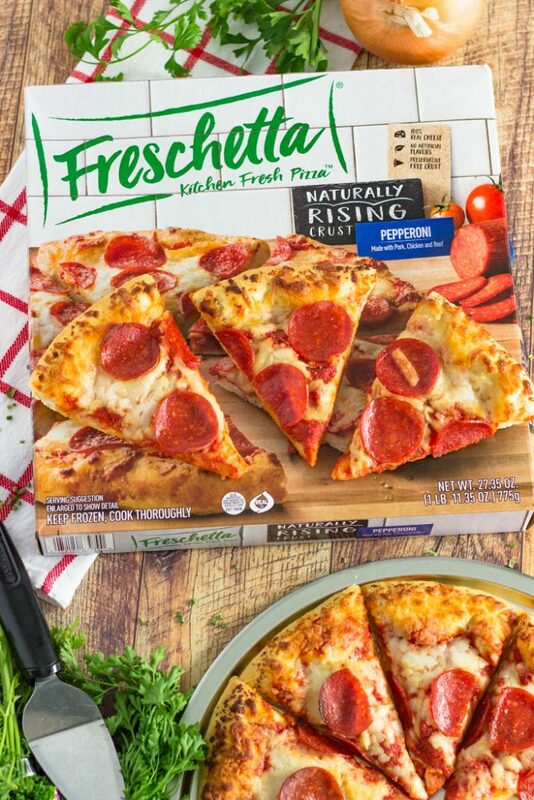 Absolutely bake Freschetta Pizza! 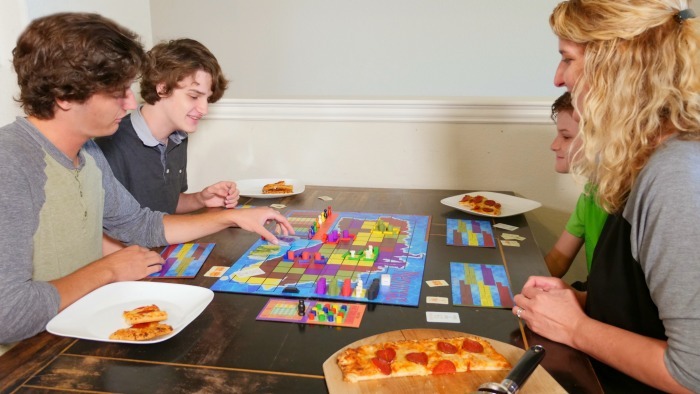 Freschetta pizzas are so simple to pull from the freezer, place in the oven and bake to perfection while the board game is being set up or the cards are being dealt. 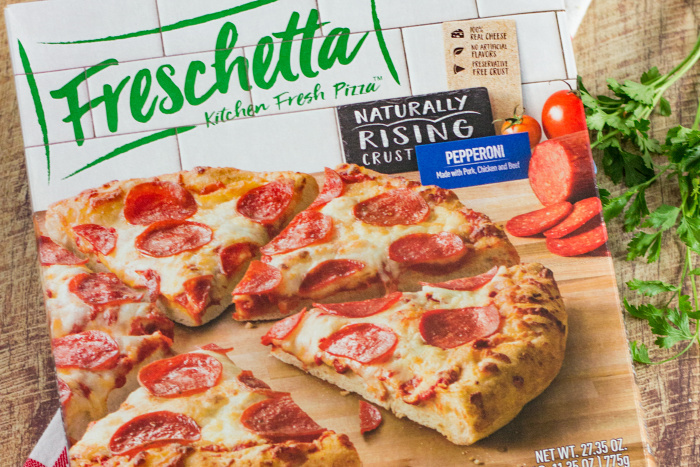 Freschetta is a scratch-made pizza with freshly shredded mozzarella cheese, vine-ripened tomatoes and premium meats and vegetables, all on top of flavorful sauces and a preservative-free crust. Each of these crust types have many options for toppings! 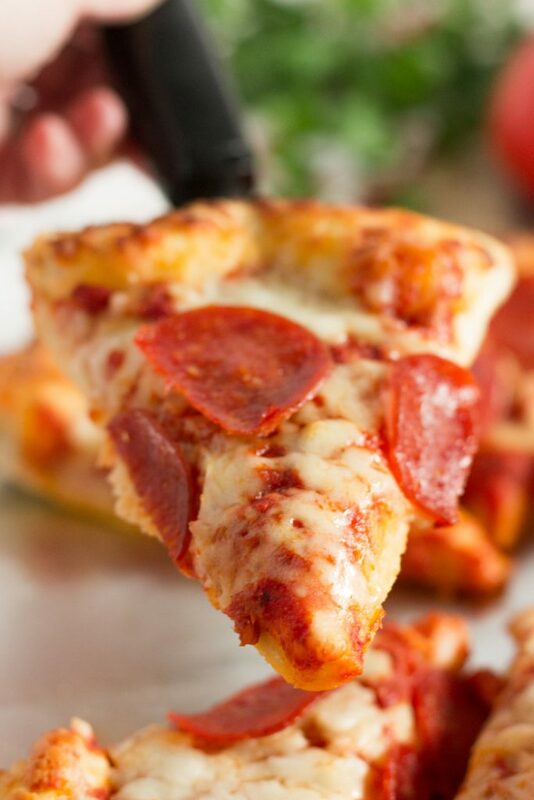 Some of our favorites are: Naturally Rising Crust Pepperoni Pizza, Naturally Rising Crust Canadian Style Bacon & Pineapple Pizza and Brick Oven Crust Spinach & Roasted Mushroom Pizza. 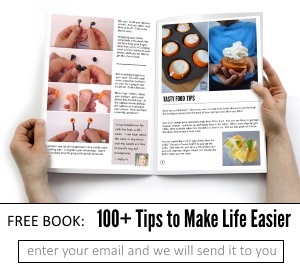 What I like is that it is EXTREMELY easy and everyone loves it! To find the closest place to buy your Friday night pizza, click here. 4. Keep Board Games Handy. When we down-sized our home, it became necessary to be more conscious of storage. In general, board games can be large and in different sized boxes. And since we didn’t have closet space to spare, I got more creative in keeping these close to where we play. 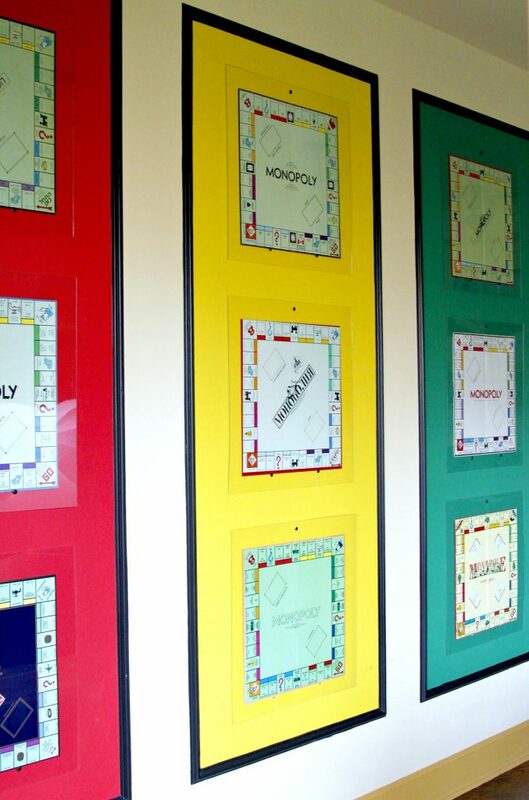 Using board games as decor can be one solution. Whether it is hanging a board on the wall as art or stacking favorite games strategically on a console table, both can bring color and fun into the room. The picture above is from our last game room. Having the boards on the wall and keeping the rest of the pieces easily stored in a drawer. 5. Use Movie Night as Plan B. Every once in a while (about once a month at my house), I notice a Friday night where everyone is completely exhausted. 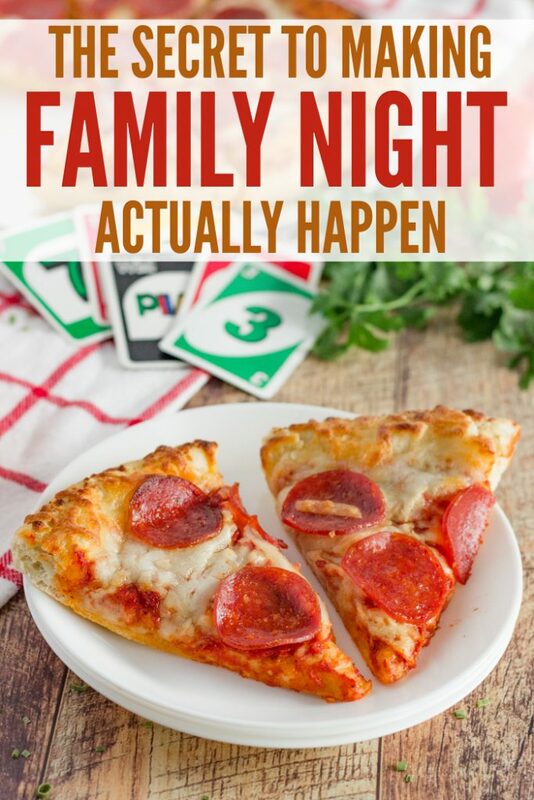 Instead of just grabbing pizza and disappearing into their rooms to collapse, we call an audible for movie night. Everyone can grab a plate and head for the couch. Our favorite movies to watch are the favorites from our teenage years. It is good for the kids to see pop culture “classics” <–that makes me feel 100 years old. The other thing to remember is that movie night doesn’t actually have to be a 2 hour movie. Stream a favorite TV episode or use Fridays to start watching a series together! 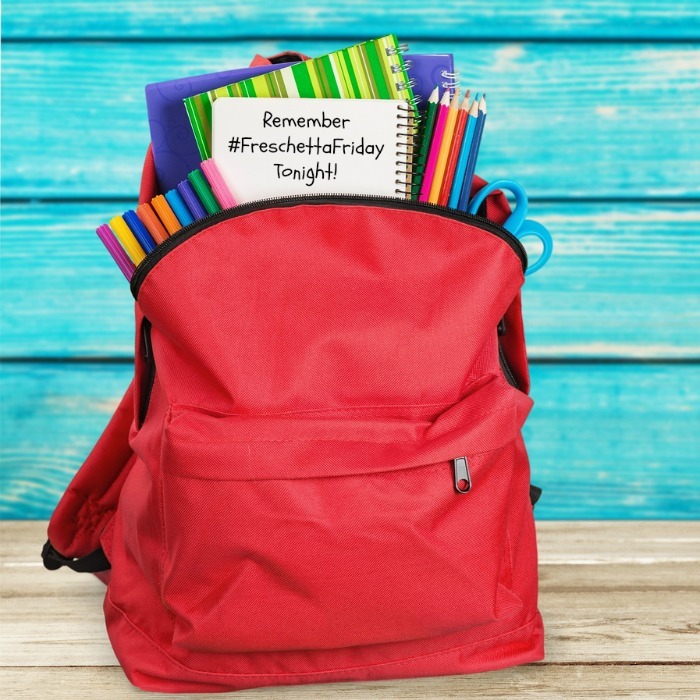 Follow along with other fun family night ideas by following the hashtag #FreschettaFriday and following @Freschetta on IG. Find a store location near you on the Freschetta website.